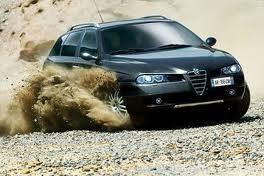 Engine oil capacity in quarts / liters Alfa Romeo Crosswagon Q4 1.9 JTD 16V. From year: 2004, 2005, 2006. How many quarts / liters of engine oil is needed for an oil change including replacement of oil filter for a Alfa Romeo Crosswagon Q4 1.9 JTD 16V. Alfa Romeo Crosswagon Q4 1.9 JTD 16V it is a Family car. Engine capacity: 1910 ccm (115,97 cubic inches). Car engine oil capacity: 4.2 quarts or liters. The recommended engine oil: Castrol Magnatec 5w-40 C3. Synthetic-based engine oil, grade SAE 5W-40. FIAT 9.55535-M2 qualification. Mineral oil for transmission, grade SAE 80W-90. that passes: API GL 5, MIL-L-2105 D LEV specifications. 1 Engine oil – 2 Battery – 3 Brake fluid – 4 Windscreen washer fluid – 5 Engine coolant fluid – 6 Power steering fluid. WARNING To access the battery or to check engine coolant level (5), slacken fastenings (A-fig. 20) set respectively on the right front side, central side and left front side of the stiff cover.